Finally! We&apos;re nearly a quarter of the way through 2018 and winter weather has been kicked to the curb for good. Sunshine, longer days, major concerts, food truck rodeos, outdoor exploration and more are here to stay—cheers to that! Are you ready, beer fans? There&apos;s something brewing in Raleigh, N.C.! April is Beer Month in Raleigh, and the area&apos;s 25+ breweries (plus bottle shops and craft brew restaurants) invite you to join in on the month-long celebration with festivals, events, special beer releases, beer dinners, brewery tours and more—all in celebration of the sixth annual N.C. Beer Month. Jumping right into it (a day early even—no complaints here! ), the 5th annual Casks on Fools (3/31) at downtown Raleigh&apos;s Crank Arm Brewing is a day-long kick-off party to Beer Month. Featuring truly-unique casks from more than 20 N.C.-based breweries—we&apos;re talking everything from mango habanero IPAs to chocolate cream stouts, Irish stouts with cherries and way more—the by-the-glass cask festival celebrates the innovation of craft beer across the area. On the same day, the brewery will be releasing their first-ever canned beer—six-packs of their flagship Rickshaw Rye IPA. In Fuquay-Varina, SpringFest at Mason Jar Lager Company (4/7) brings a full day of beer festivities—plus live music, dancing food trucks and more—to the table to celebrate great beer, good weather and fun times. It&apos;s good timing, too—April 7 just so happens to be National Beer Day! 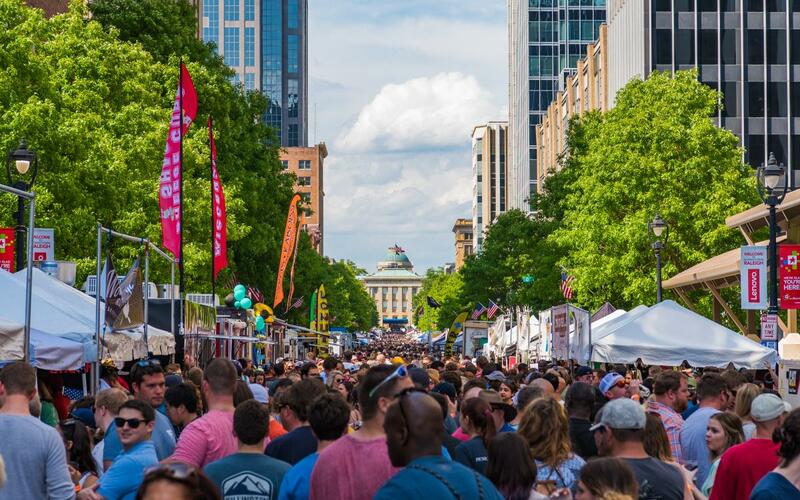 Live & Local: Spring Fest on Hillsborough Street (4/14) returns mid-month for another year of celebrating spring with unique art, music, food and local beer being sold by Raleigh Brewing Company. 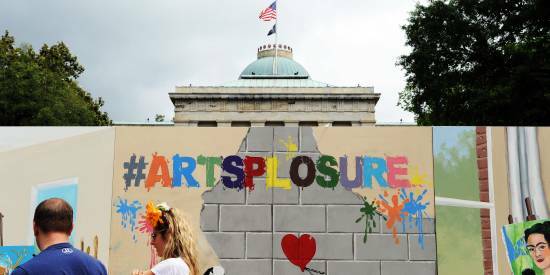 A hand-crafted art market and a kids zone—complete with youngster performers—make this event a truly family-friendly affair that&apos;s open to all. 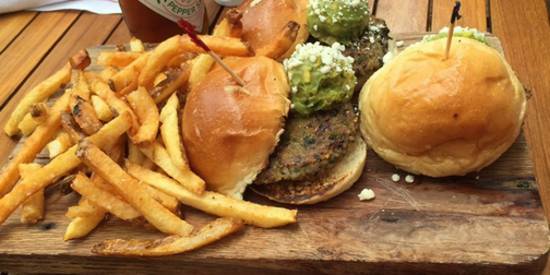 Beer Month wouldn&apos;t be complete without a little &apos;cue, and that&apos;s why the North Carolina &apos;Cuegrass Festival (4/21) is a can&apos;t-miss event in downtown Raleigh&apos;s Warehouse District. The 10th annual event, hosted by The Pit, will be a jam-packed day full of Eastern-style barbecue, local brews and toe-tappin&apos; bluegrass music—see you there! And finally, our attention turns to Brewgaloo (4/27-28), N.C.&apos;s largest craft beer festival of its kind, featuring 100 breweries, 50 food trucks and drawing 30,000 people. The festival, with free admission on Sat. (so bring plenty of friends! ), allows you to purchase either beer samples or full pints from breweries located across the state. While you&apos;re visiting (and while you&apos;ve got beer on the mind! 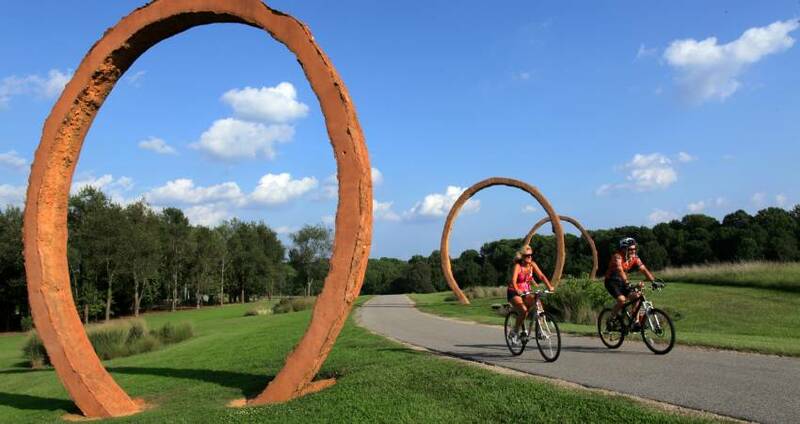 ), consider tackling the Raleigh Beer Trail. From Wake Forest to Raleigh to Holly Springs, the Raleigh area&apos;s breweries have teamed up to give beer lovers an incentive to get a bit adventurous. 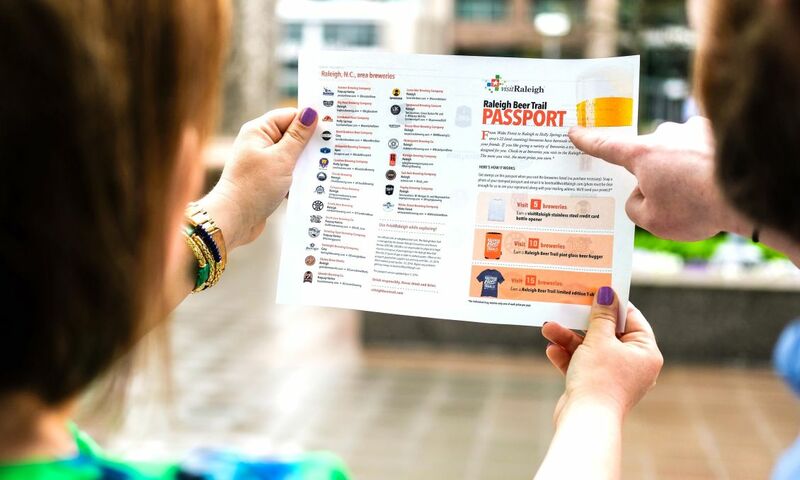 Armed with your downloadable Passport, a good group of friends and a designated driver (or other safe transportation), visit five, 10 or 15+ breweries and you&apos;ll earn rewards! 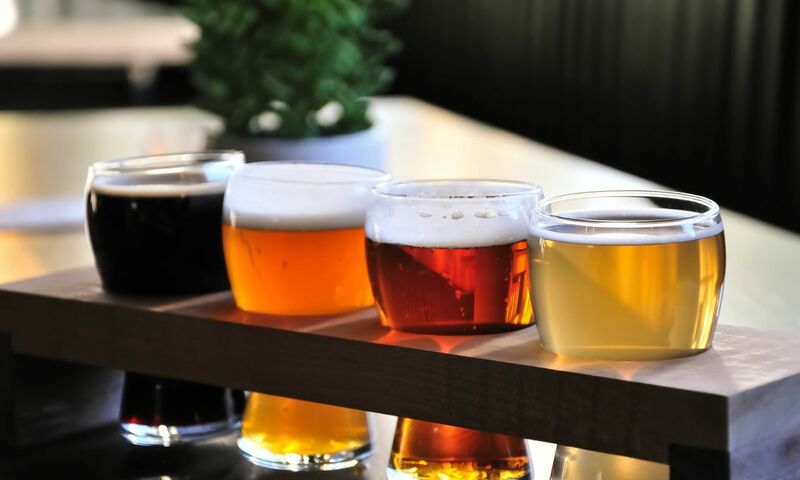 Get all the details on the Raleigh Beer Trail here, plus check out our list of 10 reasons to celebrate Beer Month in the City of Oaks. 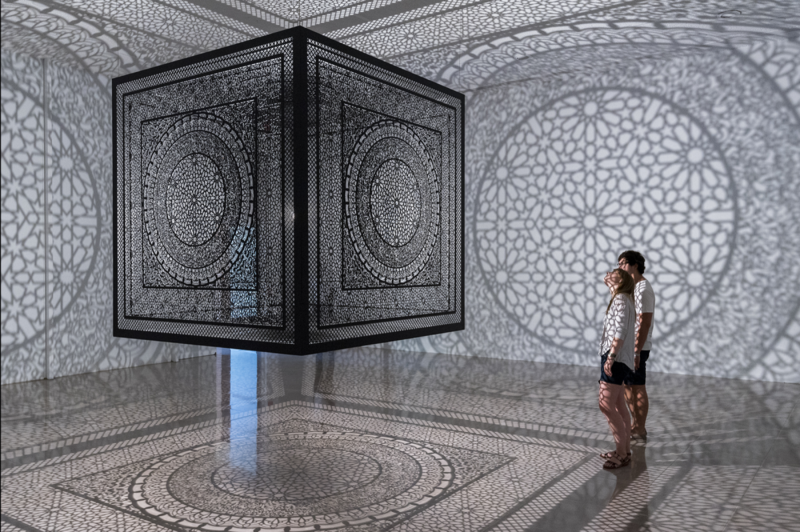 10+ Spring Beer Events in Raleigh, N.C.
A highly-anticipated exhibit at the North Carolina Museum of Art, You Are Here: Light, Color, and Sound Experiences (4/7-7/22), is ready to take over the museum—inside and out! The exhibit, which will feature immersive art installations by 14 contemporary artists—including large-scale light works, sound installations, video works, mixed-media room-size environments and site-specific projects—will take over an entire floor of the museum’s temporary exhibition galleries and also transform the landscape of the Ann and Jim Goodnight Museum Park, creating a campus-wide presentation of contemporary experiential art. Bonus: an all-nighter party on opening night will feature a silent disco, stand-up comedy, yoga, dancing and more—count us in! Who&apos;s up for a ballgame? Break out the peanuts and Cracker Jack—the Carolina Mudcats (Class-A Advanced affiliate of Major League Baseball&apos;s Milwaukee Brewers) return to the diamond in Zebulon early this month for another a full season of action! They&apos;ll kick-start the 140-game season (70 total home games at Five County Stadium) with four series in April, hosting the Winston-Salem Dash (4/5-8), Frederick Keys (4/9-11), Buies Creek Astros (4/19-22) and Myrtle Beach Pelicans (4/24-26). You&apos;ll find $1 tacos on Tuesdays, $1 hot dogs on Wednesdays, half-priced draft beers on Thursdays and Friday night fireworks all season long. Over in Cary, North Carolina Football Club—a men&apos;s professional soccer team playing their first season in the United Soccer League (USL)—continues their season with two Sat. home games in April. They&apos;ll face off at Sahlen&apos;s Stadium at WakeMed Soccer Park against Indy Eleven (4/7) and Penn FC (4/28). The North Carolina Courage—one of the favorites to come out on top in the Women&apos;s National Soccer League (NWSL) this season—also play two home games this month, taking on Seattle Reign FC (4/18) and the Utah Royals (4/21). Aside from high-level soccer played by both teams, you&apos;ll find free parking at the stadium, and on Saturdays (meaning three chances this month) you can hop on the Red and Blue Express—a free bus service from downtown Raleigh that provides a ride to the game, free beer, water and soda while on board and priority entrance into the game. Thinking about more ways to get active and enjoy the outdoors? 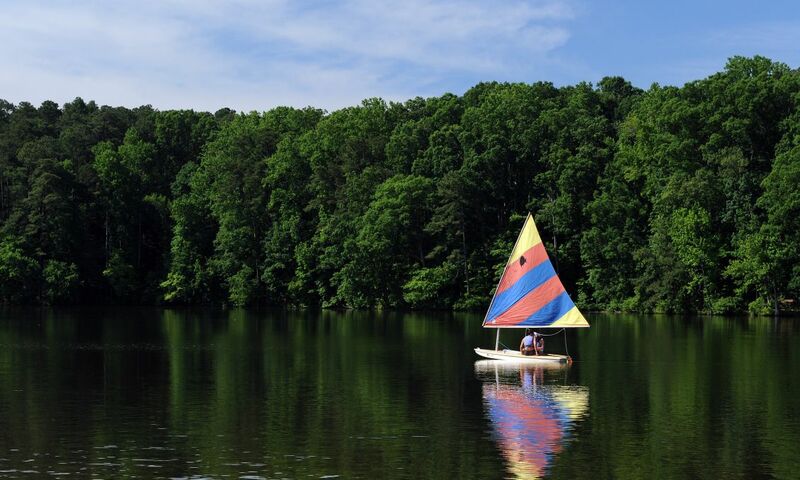 Use our guide to kayaking, canoeing, stand-up paddleboarding and more (including family-friendly boat rentals and a hidden nature preserve in Wendell) if you&apos;re into relaxing water sports, or find out why Raleigh has long been called a "city in a park" and take on some of the area&apos;s most-loved trails for walking, running and biking. 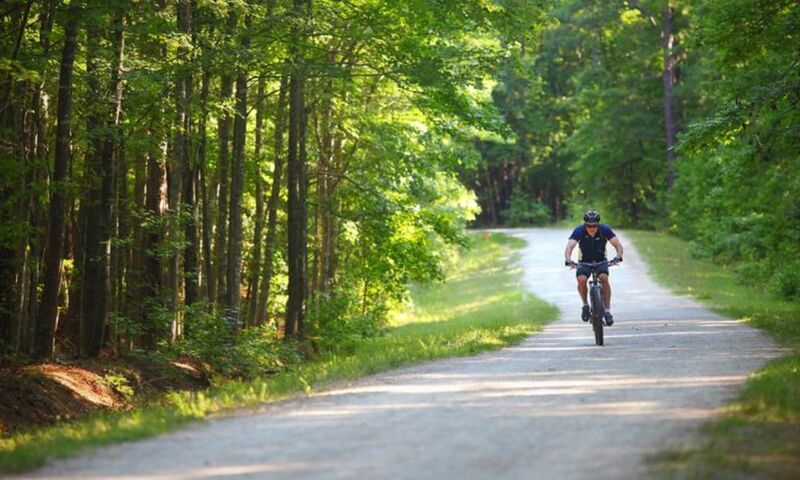 10+ Trails to Bike and Hike in Raleigh, N.C. Need your monthly dose of live music? Raleigh, with the most live music in N.C., is heating up in April with outdoor and indoor music venues ready to rock. Art Garfunkel (4/6)—the curly-haired half of Simon & Garfunkel—brings his solo act to Duke Energy Center for the Performing Arts early in the month to get things started. PNC Arena will host two major shows in April—Eagles (4/17) and Bon Jovi (4/24) will play to huge crowds at the area&apos;s largest indoor venue. Downtown Raleigh&apos;s Red Hat Amphitheater also welcomes back outdoor music season with two upcoming shows. SUSTO (4/8) will take stage as part of the free post-race party following the Rock &apos;n&apos; Roll Raleigh Half Marathon, and PRIME Music Festival (4/14) brings in Zeds Dead, Trippie Redd, Matoma and more for the one-day event. 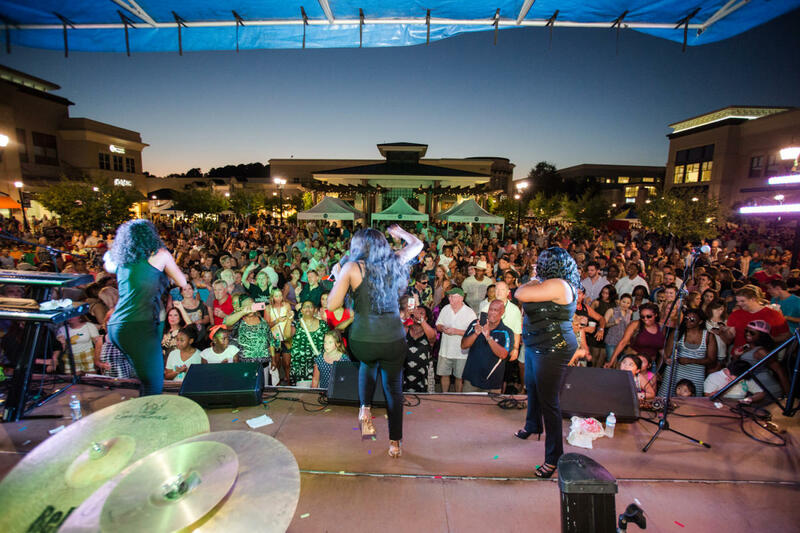 And beach music season is back at North Hills as The Embers featuring Craig Woolard (4/19) and The Tams (4/26) kick off the free 18-week Thurs. night series. For a full calendar of music events in April—including Papa Roach (4/5), Kooley High (4/21), Hawthorne Heights (4/28) and more—check out themostnc.com! Talk about high-flying, fast-paced action—the Raleigh Flyers, a top contending team in the American Ultimate Disc League (AUDL), get their season underway with home matches against Tampa Bay Cannons (3/31) and fierce rival Dallas Roughnecks (4/7). Tickets go for as little as $5! In need of a good laugh or a super fun date idea? You can catch Kevin Hart (4/1) at PNC Arena, or head to Goodnight&apos;s Comedy Club in downtown Raleigh where Aries Spears (4/5-8), Josh Wolf (4/12-14), Gary Owen (4/19-22) and Margaret Cho (4/26-28) fill the April calendar with side-splitting stand-up. Put your problem solving hat on! At Mazes and Brain Games (through 9/3)—a new, family-friendly special exhibition at the North Carolina Museum of Natural Sciences—you&apos;ll put your brain to the test as you maneuver your way through a mind-boggling collection of 3D puzzles and full body games. A day filled with delicious Lebanese food, wine, dancing, children&apos;s activities and more is lined up for the 20th Annual Lebanese Festival (4/14) in downtown Raleigh. Huckleberry Finn and his friend Tom Sawyer have found themselves knee-deep in adventure, shenanigans and Mississippi mud once again (go figure!) as part of Adventure Road: A Story of Huck and Tom (4/14-29), presented by Theatre Raleigh as part of the 2018 family series. Kids can get hands-on at the BrickUniverse LEGO Fan Convention (4/14-15) at the Raleigh Convention Center, including a building zone to unleash creative energy. The North Carolina Symphony is set to perform two fan favorites this month—a special event, The Music of Star Wars (4/20), and a three-day run of Romeo and Juliet (4/27-28) at Duke Energy Center for the Performing Arts. Carolina Ballet, celebrating their 20th anniversary season in Raleigh, revives a show that was last performed during their inaugural season (and a seminal work in the ballet world)—Serenade (4/26-29) is a poetic performance with imagery of dreams and mystery. And a Cary tradition for 25 years, Spring Daze Arts and Crafts Festival (4/28) features more than 170 N.C. artists, plus entertainment and plenty of food vendors. 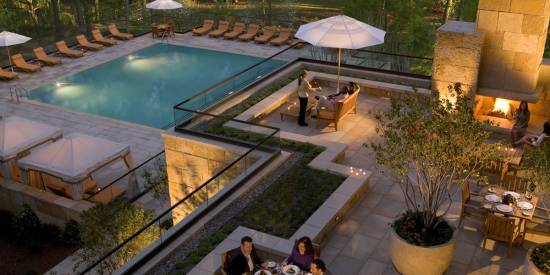 For more ideas on how to spend the coming days and weeks in the sun, check out our 30 hand-picked experiences for your spring bucket list. For a full calendar of events in April, click here.